As an Information Analyst with Fey|LLC, Jessica utilizes over 8 years of information governance experience to investigate, analyze and help design solutions to a wide variety of information governance challenges faced by the firm’s clients. She collaborates with firm attorneys and client legal, IT, privacy, compliance and business unit representatives to help fashion practical, tailored and legally compliant solutions to each unique information governance challenge. Jessica’s excellent project management skills assist firm attorneys and clients in completing projects on time and on or under budget. 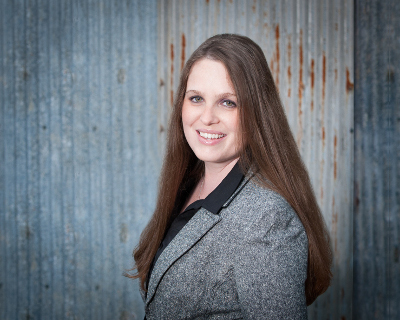 Jessica works with Fey|LLC attorneys to conduct information governance, regulatory compliance, eDiscovery and litigation readiness, and data privacy and cybersecurity risk assessments, and then identify phased remediation recommendations. She has significant experience in helping to design a wide variety of information governance policies, procedures, processes, checklists, templates and workflows. And she has assisted in developing and organizing compelling information governance, legal hold and data privacy training programs and FAQs for corporate employees to help them better understand their specific duties and obligations. Her creativity and eye for visual design is a valuable asset. Jessica is very skilled at assisting firm attorneys in helping clients prepare for and react to litigation, investigation or regulatory events quickly and efficiently through the development and application of repeatable and defensible processes. She assists firm attorneys in preparing corporate 30(b)(6) technology and information governance deponents. Jessica also assists firm attorneys in helping our multi-national clients navigate the unique challenges posed by the EU Data Protection Directive and other worldwide data protection and privacy regulations, including cross-border transfers of personal data for litigation and regulatory requirements. Jessica works in tandem with firm attorneys to help Fey|LLC clients bolster the strategic value of their information while minimizing risks, containing costs and ensuring compliance with their regulatory compliance, eDiscovery and legal hold, and data privacy and cybersecurity obligations.